Leading Manufacturer of hdpe bag printing machine, six colour flexographic printing machine, four colour flexographic printing machine, non woven bag printing machine, flexographic woven sack printing machine and non woven pp fabric printing machine from New Delhi. We are pleased to introduce that, we are one of the leading manufacturers of HDPE Bag Printing Machine,Roll to Roll Flexographic Printing Machine, Non Woven Flexo Printing Machine, Flexographic Printing Presses and Sheet Fed Flexo Printing Machine etc. 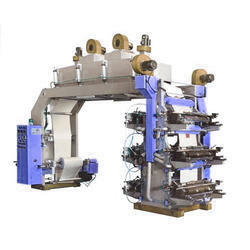 Mohindra Mechanical Works is Asia largest manufacturers and exporters of Printing and Packaging Machine.The offered machine is manufactured using supreme grade components that are procured from authentic vendors in the market who are commended for their product quality since several years. It is used for printing HDPE bag in different industries. We offer this machine to our clients at market leading price. Power requirement: 4 colour machine: 16 kw. 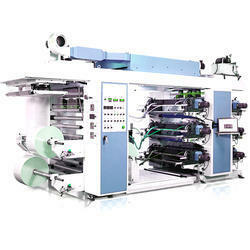 6 Colour machine: 20 kw. 8 Colour machine: 24 kw. We are offering Six Colour Flexographic Printing Machine to our clients. We are instrumental in offering Four Colour Flexographic Printing Machine to our clients. Being a trustworthy firm, we offer Non Woven Bag Printing Machine to our clients. Power requirement: 4 colour machine: - 16 kw. 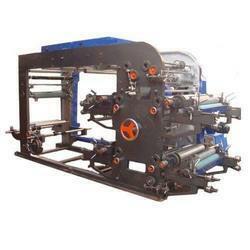 Flexographic Woven Sack Printing Machine are manufactured using superior grade raw material. This raw material is sourced from the credible vendors, which, when combined with latest technology and skills of professionals, ensures flawlessness. These machines are available in single to four colors. 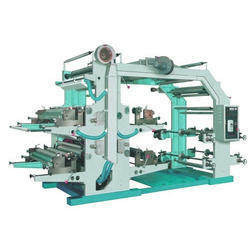 Non Woven PP Fabric Printing Machines are extensively used in mall culture and various industries for packaging purposes. Product offered by is tested on various parameters before the final delivery at the clients end. Clients can avail the offered product at market leading price. 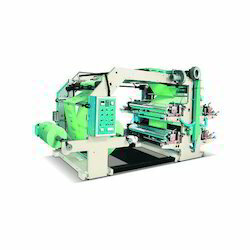 Looking for Flexographic Woven Sack Printing Machine ?